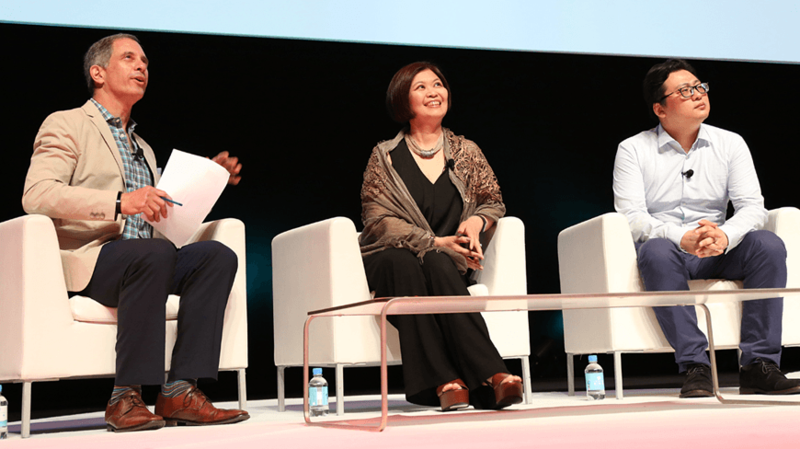 On Monday 19 June 2017, Isobar Global CEO Jean Lin and Wei Liu (Vincent), Director of AI Lab at Tencent took to the main stage at Cannes Lions Festival of Creativity to herald AI as a game-changer for business and the creative industries. As the hottest topic at the Palais for Cannes 2017, Isobar joined the chorus of agencies discussing how, as we enter the era of machine learning, AI is impacting our lives, the role of creativity and transforming our future. In Isobar’s session, moderated by Adam Lashinsky, Executive Editor at Fortune, Jean and Wei explored how data, machine learning and AI have influenced societal shifts to an on-demand world and how this has led to a deeper understanding of our audiences, altered customer expectations and is transforming the marketing landscape. A recent McKinsey report into the impact automation will have on future workforces predicts that 50% of today’s work activities could be automated by 2050 - a siesmic shift away from where we are today. The same report outlined the importance of our future education focusing on improving skills in STEM (science, technology, engineering and mathematics, and placing a new emphasis on the importance of creativity. Jean shared the view that we should be positive about the potential of this change, especially in this industry - from predictive models to helping brands understand what leads warrant closer attention using machine learning, to the ability to focus computing power around a specific challenge by using real world data, in addition to validation and ultimately better decision making; advertising is better with AI. Jean said, “It’s like having a creative director sitting inside your browser. The pair showed how AI is impacting Creativity in two ways: Firstly, whilst you are developing the idea, AI is empowering the creative thinkers and strategists to think about the problem in a different way and secondly, AI is impacting and powering the work itself - creating efficient interfaces for activating creativity. The pair also discussed how AI can drive innovation. At Tencent this has resulted in products including ‘pay with your face’, ‘search with your voice’ and even a ‘robot reporter’ that is able 2500 editorial articles per day without missing a deadline. Despite the near universal agreement that AI will change the industry, the talk strongly argued that humans will remain the creators and choreographers of compelling brand and consumer experiences, leaving continuous, process and precision tasks such as personalisation to be delivered through AI. So for now, it looks like our creative jobs, are safe and that we should use AI as a liberating force to drive bigger and better ideas that can connect and resonate in the world today.